Cumin seeds are well known as Jeera. Cumin Seeds are used to add spicy taste to many dishes worldwide. Cumin is a crucial ingredient in several world cuisines. Cumin has a unique and potent flavor crucial to Indian curries, where cumin is often roasted before grinding to impart a toasted, nutty flavor. 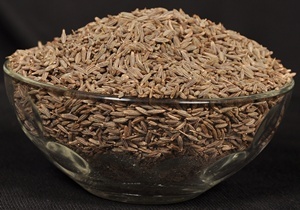 We are leading manufacturer exporters of Cumin Seeds from India. We export Cumin Seeds Singapore Quality and Cumin Seeds Europe Quality . Our Cumin Seeds are regularly exported to USA, Mexico, Brazil etc and are guaranteed for US FDA and ASTA quality standards without weeds.